For years now, environmental agencies have bolstered the replacement of the traditional incandescent lightbulb with LED lightbulbs in the interest of energy efficiency. LEDs light television screens, traffic signals, digital clocks, and more; they are multipurpose and come in various colors—and most importantly, LED light can lower electricity bills. LEDs have been modified to emit various shades of light, from cool blue to the warm incandescent glow most of us are familiar with. But despite their energy efficiency and versatility, many homeowners resist LEDs for various reasons, one of them being an unwarranted loyalty to the wasteful incandescent lightbulb. The incandescent lightbulb, invented by Thomas Edison in 1879, generates light through the electrical heating of tungsten filaments inside the bulb. However, less than 10% of energy emitted from the bulb is light energy—the remaining energy is emitted as heat, as you have probably felt when touching a lit incandescent bulb or sitting near one. 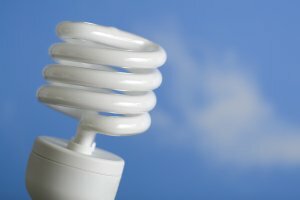 With less than 10% of energy fulfilling the bulb’s purpose of providing light and a short 1,000 hour life expectancy, it is difficult to justify the cost and value of incandescent bulbs: why purchase and use bulbs that waste energy, generate heat, and fail to perform to their full potential? The easy solution to this problem is LEDs. These powerful bulbs emit light through the movement of electrons in a semiconductor material, thus maximizing the energy output that powers their astounding 20,000 hour life expectancy. This long life expectancy translates to about two decades of regular use, yet LEDs only use a fraction of the wattage required to power incandescent bulbs. 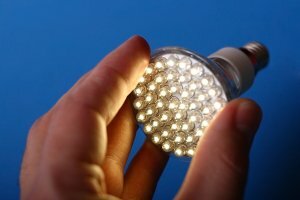 Since LEDs use significantly less energy and are replaced less often than incandescent bulbs, they reduces the negative impacts of manufacturing, packing, and shipping on the environment. Also, LEDs emit less heat, thus reducing cooling costs and amounting to substantial energy savings. In wasting energy, incandescent lightbulbs waste your money. Keep your house cool and your electric bill low by making the switch to LEDs. When you are choosing kitchen lights, you may want to consider installing recessed lights. As you plan your recessed lighting design , you will need to select the best light bulbs for your needs. Incandescent lighting can be easily used in a recessed lighting design. For a compact and powerful recessed lighting solution, you can choose florescent or halogen lights. 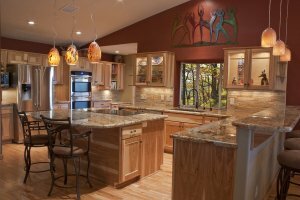 These types of lights are a great choice for kitchen light fixtures, or lights that are used to illuminate pictures. For answers to all of your questions about lighting fixtures, be sure to contact a lighting company in San Jose. To take a closer look at all of the recessed lighting options that will be available to you at the lighting showroom, check out this video from This Old House. Lighting is a very important element of interior design, but it is often overlooked. Whether they are outdoor lights, kitchen lights, or bathroom lights, the right lighting in a home can set the mood, and make you feel secure and comfortable. If you’re looking for tips on lighting in San Jose , keep reading for more information. Colorful lights can make your outdoor lighting or landscape lighting look inventive and cheerful. Green lights in your trees or lighting the pathway to your garden will make your plants look lush, even at night. In the home, a lamp with a colorful base or lampshade can complement your home décor, or add an inspiring new aesthetic to your home. Many hanging lamps that you may use as kitchen lighting or bathroom lighting have glass shades that are painted in colorful patterns and textures. This surprising burst of color can enhance your interior design. Modern light fixtures are often monochromatic, oversized, made of organic elements or organic-inspired design, or embrace a sleek, minimalist feel. If your interior design has a modern feel, you should consider a modern light fixture to tie your design elements together. These modern pieces often use luxurious fabrics for lampshades, or incorporate chrome, beads, or crystals to create an intriguing glow. Chandeliers are often used in surprising places, such as bathroom lighting over a bathtub, or in a nursery. If you don’t want to embrace the modern aesthetic, you may be interested in more vintage, classic, or retro designs. Your lighting fixtures can be as eclectic and creative as you are. Many designers are now using sculptural metals, reclaimed materials, or revitalizing outdated lighting technology to create fun and exciting new light fixtures. Wire birdcages, vintage Edison bulbs, and glass lanterns can be used to stunning effect, especially when juxtaposed with modern furniture and design elements. Using energy-efficient lighting will help to save you money on your monthly energy bills. In addition, many energy-efficient lighting features are also great safety features for outdoor lighting and landscape lighting. Continue reading for great ideas for energy-efficient lighting near San Jose . LED lights use only 10% to 15% of the power that standard light bulbs use. This means that during the lifespan of one LED light, you can save hundreds of dollars. They also have a lifespan of 15 years, meaning that you will save money on replacement bulbs. Light dimmers and light timers are excellent ways to save on your energy bill. Using light dimmers can create mood lighting and allow you to use less power to light your home. Light dimmers are also valuable in outdoor lighting and patio lighting, as you can adjust their brightness as the light changes outside. Light timers allow you to program your lights to automatically turn on and off at certain times. This means you won’t waste money by forgetting to turn a light off. It also allows you to deter burglars by ensuring that lights are always on around your house. Outdoor lighting and landscape lighting can be used for both security and aesthetic purposes. Using unique, classic, or modern lighting in your yard can help you bring your interior design to the outdoors. If you’re looking for inspiration for outdoor lighting in San Jose , continue reading. Landscape lighting can draw attention to your beautiful plants, flowers, and trees after the sun goes down. It can also be a safety measure, to prevent guests or family members from injuring themselves by walking off of pathways or tripping on tree roots. You can set these lights up on timers, or choose lighting that has photocells that sense when it is dusk and only turn on at that time. A well-lit sidewalk and yard can give you and your family more peace of mind, as it may prevent prowlers and burglars from targeting your house. High-quality LED outdoor lights can help you save money on your electric bill while still allowing you to make your yard bright and cheerful. LED lighting only uses 10% to 15% of the power of traditional lighting, which can save you hundreds of dollars in energy costs just during the lifespan of one LED light. Lighting can also be set up on timers, so that you won’t waste money or energy by forgetting to turn off your outdoor lights when the sun comes up. You can also install light dimmers, allowing you to use less power when you have the lights on. Patio lighting is perfect for outdoor parties, and every day use. 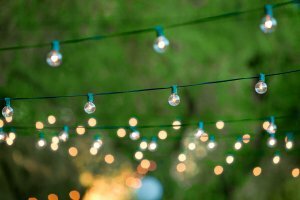 If you have a backyard with trees, or a formal patio with an awning or roof, patio lights can add a cheerful twinkling light to the yard. Picking out and setting up patio lighting can be a fun creative project for you and the family. Patio lighting can also keep you and your guests safe if you use it to illuminate stairs, steps, dark corners, and equipment like barbecue grills and lawnmowers. Outdoor lighting and landscape lighting can be a fun opportunity to showcase your creative side. This lighting can also provide valuable safety and security features for you and the other members of your household by deterring burglars and illuminating dark or dangerous areas of the yard. A lighting expert in San Jose can help you get started on your outdoor lighting designs. Watch this video for more information on the design elements of outdoor lighting and landscape lighting. In the clip, Tom Stout, a professional landscape designer, offers some helpful tips to inspire you to create beautiful outdoor lighting for your home. Pendant lighting is one of the hottest new trends in home lighting design. If you are shopping for a stunning light fixture for the interior of your home or office, you may want to explore the pendant lighting options that are available to you. Pendant lights are similar to chandeliers, in that both types of light fixtures create visual interest in a room. Unlike a traditional chandelier, however, pendant lights can be hung in unusual patterns or combinations to create unique visual flair for a room. These light fixtures can also be hung in rows, so that you can illuminate a larger room or office space. Whether you are in need of kitchen light fixtures or lighting for a dining room table, pendant lighting is a stylish and practical choice for your lighting design needs. 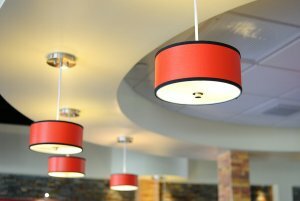 Be sure to contact your local lighting company in San Jose to learn more about pendant lighting. Whether you consider your lighting in San Jose an opportunity to enhance your home’s aesthetics or simply a practical way to see what you are doing around the house, the type of home lighting you choose can have a substantial impact on your living space. Although they may not currently enjoy the popularity that they deserve, LED lights come with a number of important advantages. Keep reading to learn about a few reasons to choose LED lighting. There are countless ways in which you can improve the efficiency of your home. 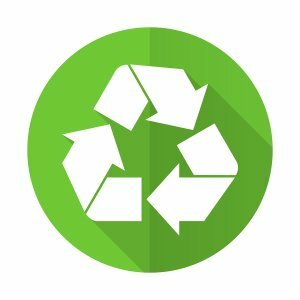 You can use energy-efficient toilets, showerheads, and washing machines as well as solar panels and wind turbines in order to reduce your carbon footprint. What many people do not know, however, is that you can also improve your energy efficiency by using LED bathroom, kitchen, and outdoor lights. LED lighting fixtures use substantially less energy than most of the other available types of lighting, and they do so without any reduction in quality. Every single LED light bulb that you use in place of another type can save you an impressive amount of energy, which in turn leads to a slew of additional advantages for both the environment and the homeowner. How many environmentally conscious and energy-efficient homeowners does it take to change a light bulb? The answer is none for about two decades if you choose to use LED lights. This is not only convenient if your lighting fixtures are difficult to reach, but it also means less bulbs are finding their way to landfills each day; additionally, you will only have to spend money on LED lights after every four or five presidential elections. Some LED light bulbs can even last for five years straight without being turned off. Many people are confused at the prospect of LED lights saving them money when each bulb costs so much more than an incandescent or fluorescent bulb. However, the energy efficiency and incredible working life that they provide make them a worthwhile investment that will in fact help you save money in the long term.